I originally shared this tutorial on Or So She Says… where I am now a monthly craft contributor. Go check it out. So exciting! Now I get to share it with you here. Back in July, we celebrated Evan’s 6th birthday party. Last year, it was all about superheroes. His theme of choice this year? Legos! Seriously, that boy would sit and build Legos all day if I let him! 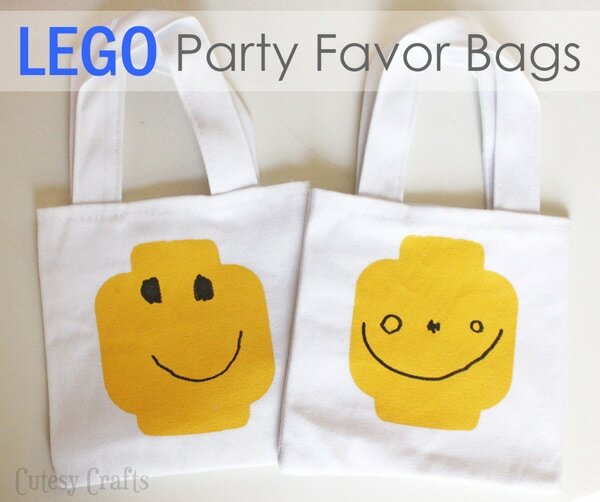 I thought it would be fun for each of the boys at the party to draw a face on their own Lego party favor bag. They turned out so cute! 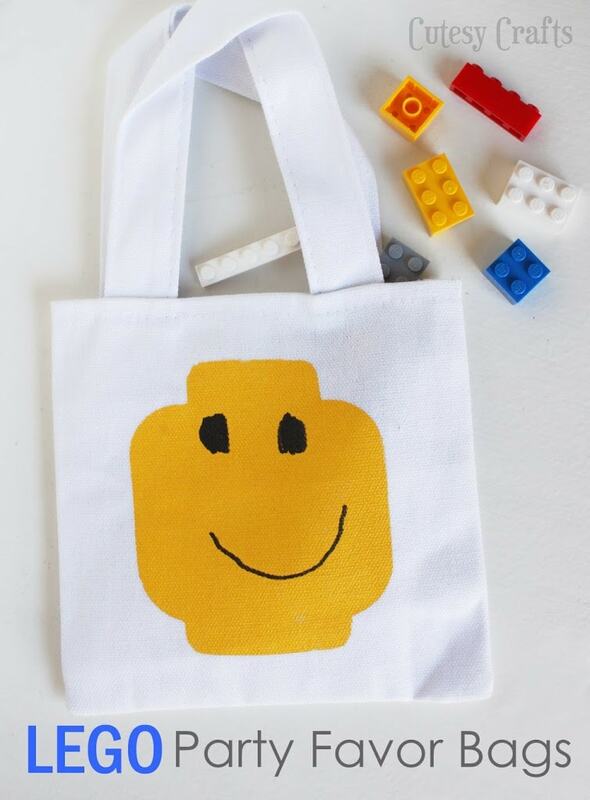 I bought some cute little 5 1/2 inch tote bags at the craft store and stenciled each bag with a Lego head. 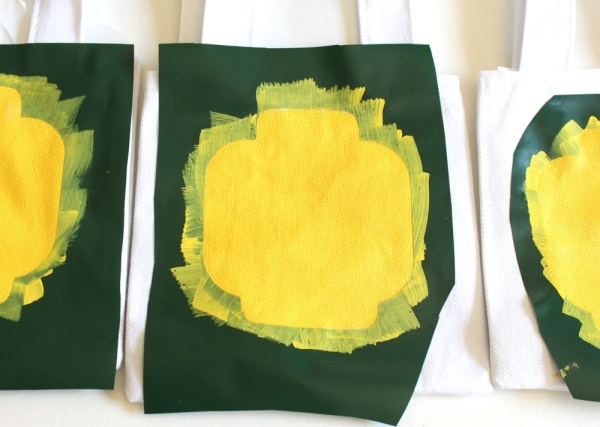 I made these stencils using vinyl, but you can also use the freezer paper method. 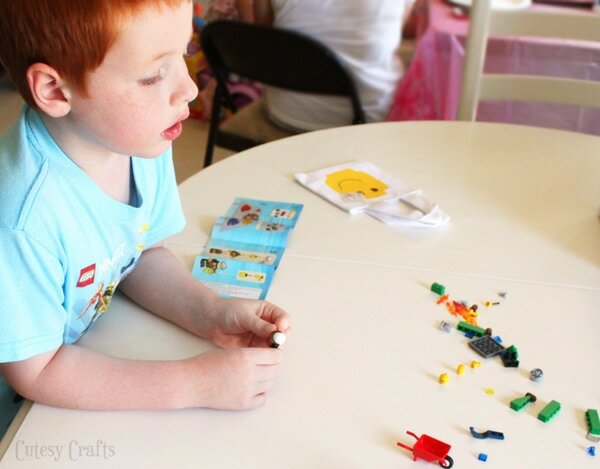 Download the Lego head template here and just cut it out with scissors. 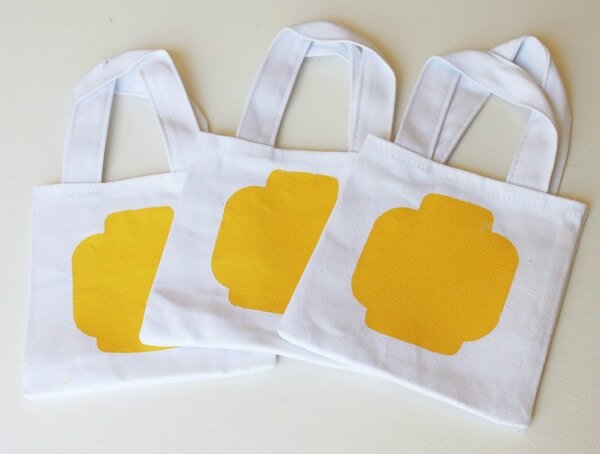 Center the stencils on the bags and paint with a matte fabric paint. For the best results, start on the stencil and paint in toward the center. This prevents paint from being pushed under the stencils. 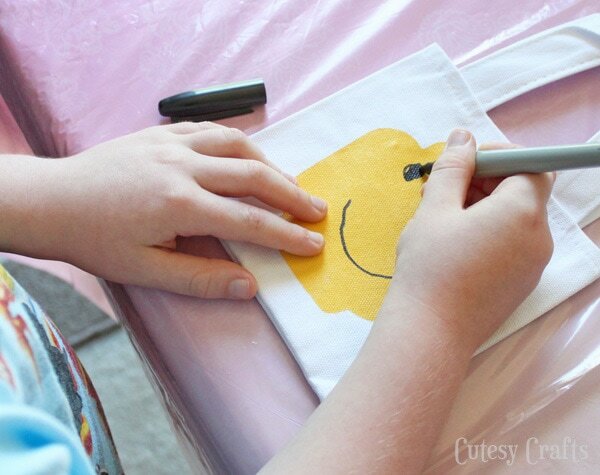 Once the paint is dry, peel off your stencils, heat set the paint, and you’re ready for the party! There weren’t many boys coming to the party, so I splurged and bought them each the cheapest Lego set I could find. We scattered the pieces across the center of the table and gave them their instruction booklets. The boys picked through the pieces and each built their own set. Evan’s vision of the party was everyone sitting around building Legos, so this was perfect! 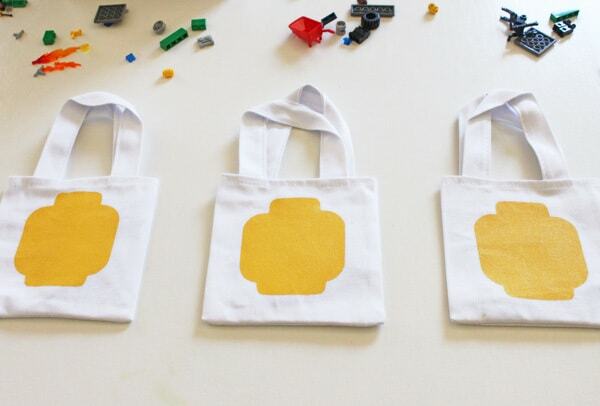 When they were done, the Lego sets went into their bags, and they got to take them home. A much better party favor than candy! Along with the Lego sets, we also bought this tub of Legos on Amazon. It was a good little starter set and a nice place to keep the millions of Legos that he got for his birthday. So much fun! And yes, this is the party where we had our awesome Lego cake pops fail. Make sure to go check that out if you haven’t already. It’s definitely good for a laugh! I LOVE this idea! So fun and totally perfect. Pinned! Thanks Alli! We had fun making them!